It's a great truck to invest in and truly believe others will be happy with it. 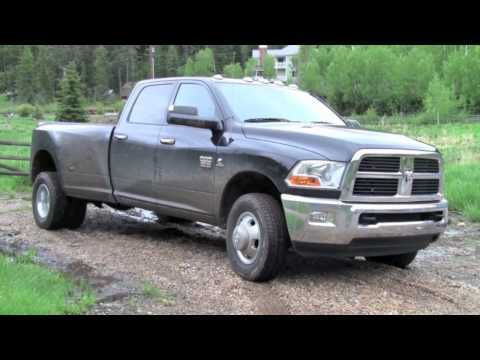 The 2013 Dodge we drive has been a very reliable truck! We've taken it across states a few times and drove all over Montana in it without any complications. We get good gas mileage on it even though it has a hemi. Having the hemi makes the truck really get up and go. The important things we found is you've got to make sure to keep up oil changes, spark plugs, spark plug wires etc. to keep the truck running in the best way it can!! Also the only downfall is a lot of work that needs to be done you have to take to the dealer which runs in the very expensive category!! The back seats are very uncomfortable to ride in there's just not enough room n the seats sit straight up! I would recommend this truck for others to buy though. We pull a 38' 5th wheel with this RAM and have done so since we bought the truck. It is always provided us with sufficient power to tow the rv anywhere we've taken it. The truck is very responsive and comfortable. We've had very few issues with the truck until recently when we started having issues with the air conditioner. Our biggest gripe is not with the truck, but with the inability of Dodge dealer service centers to diagnose and repair the issue.. Particularly in Coney, Arkansas where we're pretty sure they replaced the condenser for no reason, charging us $800+. Very durable.. Good work horse of a pickup. It has good pickup.. Some problems with electrical.. But all in all a good ride would like to get better gas mileage, but bought it to tow a trailer.. It's really good on open road, but of city driving it is a gas eater. It is really good climbing hills and seems to have good torque. I always wanted a pickup and I am very satisfied with this one..
Should You BUY A 2010-2017 Dodge Cummins?